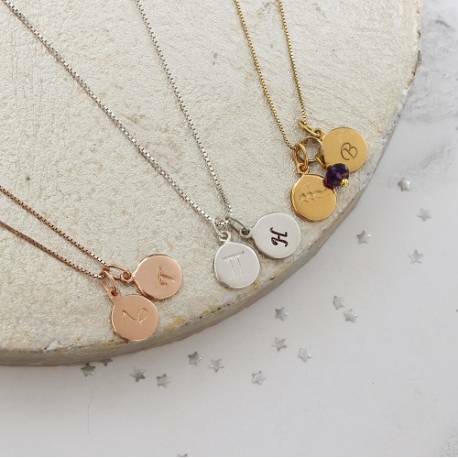 From our brand new Zodiac Collection, this gorgeous Double Disc Personalised Charm Necklace is the ultimate gift choice for birthday celebrations. Fully customisable with a choice of options, it is available in sterling silver, yellow gold or rose gold vermeil, it is offered with a variety of chain lengths, and we can add the birthstone gemstone of your choice to create a unique jewellery gift. 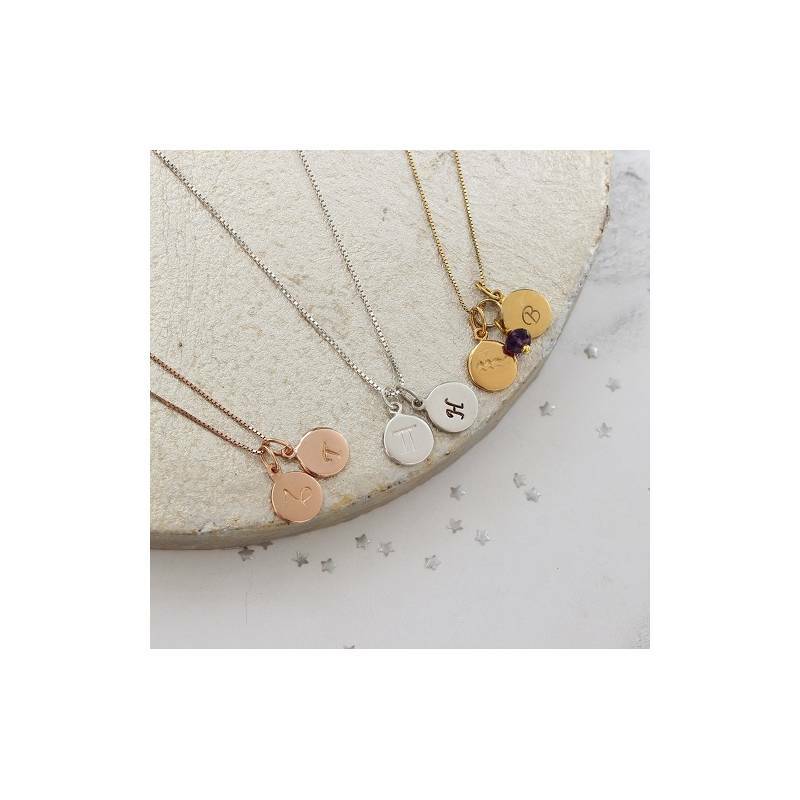 Featuring two circle disc shaped charms, one with your chosen zodiac sign, the other with a single initial, the Zodiac Charm Necklace is eye-catching yet easy to wear, and it coordinates effortlessly with both smart and casual fashions. The Zodiac and letter disc charms are approx. 0.9cm with the loop it hangs approx 1.5cm from the chain.